Inspired by CK Prahalad’s book on the “The Fortune at the Bottom of the Pyramid,” Novartis was exploring the possibility of building a sustainable business at the BOP in India. The goal was to create a business that would improve access to healthcare for the poor while being financially profitable, unlike Novartis’s traditional philanthropic and corporate social responsibility approaches. To successfully develop a sustainable business Novartis needed to answer a series of strategic questions: Which BOP patients were the best targets for reaching the social and financial goals of the program? Which diseases should the program cover, and with what types of products (patent protected, generics, OTC)? Which stages of the patient journey should the program address? Which stakeholders should be targeted? What communication channels should be used? What should be the program’s scale? 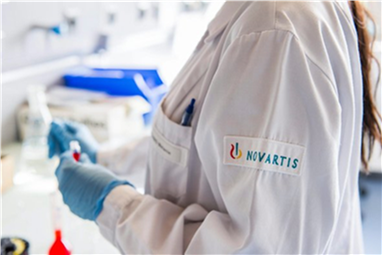 Where to put the social business group in the Novartis organization? 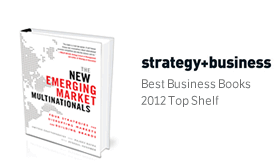 This case has been successfully taught in both MBA courses focusing on strategies at the BOP or in emerging markets, as well as in executive education programmes with senior management looking at the challenges of developing profitable and scalable businesses at the BOP, or more generally in emerging markets. The case can also be used in the context of a course or module on business model innovation. In MBA programs, the case easily fills a typical 90 minute session and can even be expanded to cover a double session. In an executive education context the case can form the basis for a half-day module. The case provides an opportunity to understand the challenges of emerging markets (India specifically) created not just by low income but also poor education, social stratification and poor infrastructure. At the same time it highlights the potential opportunity or “Blue Ocean” that exists due to large underserved customer groups. The case enables a discussion of all aspects of a business starting with which segments to target, which specific needs (diseases) of this segment to address, which elements of the consumer decision process/journey to focus on, how to execute against these decisions by addressing the complete eco-system, including how to position this new business within the firm. The case provides sufficient data to undertake a breakeven analysis for the business, a key to making a successful business case. A spreadsheet is provided to help instructors walk students through the breakeven analysis as well as a deck of slides for an extended wrap-up. Students should be able to think through the key elements of setting up a new business in emerging markets or targeting the BOP after a comprehensive discussion of this case.